Counsellor for Foreign Affairs Raili Lahnalampi was appointed to serve as Head of the Embassy of Finland in Dublin, Ireland, from 10 June 2019. Lahnalampi has worked internationally in several roles, and she has extensive knowledge and experience of foreign and security policy matters. Having attended the Training Course for Newly Recruited Diplomats, she joined the Ministry for Foreign Affairs in 1986. After that, she has held various posts in the Ministry for over 15 years, including in the UN, the OECD and Tanzania. She has also worked as Policy Coordinator for Angel Gurrian, Secretary General of the Office of the OECD, and as Member of Harri Holkeri's Cabinet during his Presidency of the General Assembly of the United Nations, and served as Committee Counsel in the Foreign Affairs Committee of Parliament. Since June 2015, she has served as Chief of Cabinet for Minister for Foreign Affairs Timo Soini. 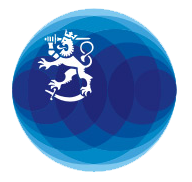 Lahnalampi holds a Master of Laws degree from Turku University. Furthermore, she holds a diploma on European integration and European law from Saarland University, Germany, and she has conducted post-graduate studies on international relations and international law at Notre Dame University, USA. She has also conducted studies on security policy at the Geneva Centre for Security Policy. Inquiries: Pekka Puustinen, Under-Secretary of State, tel. +358 295 350 228.